For our goodies we offered: Persian mixed trail (ajeel); Persian honey almond saffron brittles (sohan ‘e assal); and 3 types of Persian pickles (torshi. ): 1) mixed veggies pickles (torshi makhloot); 2) eggplant pickles (torshi ‘ye bademjoon); and 3) grape pickles (torshi’ ye angur.) The pickles were the first to go, and fast! Everyone loves a good torshi. I was excited about pickling grapes and my mom was game as well but she was rather skeptical about whether it would taste good. Turned out, the result was just wonderful. Sweet, sour, a little bit salty, and crunchy. In a unique, pleasantly palatable way. Want some good news? Aside from its favorable taste and texture, grape torshi is ridiculously easy to prepare. Requiring not so much a recipe as know-how. So simple in fact that I won’t even bother with the usual recipe format and will just do a step by step pictorial. 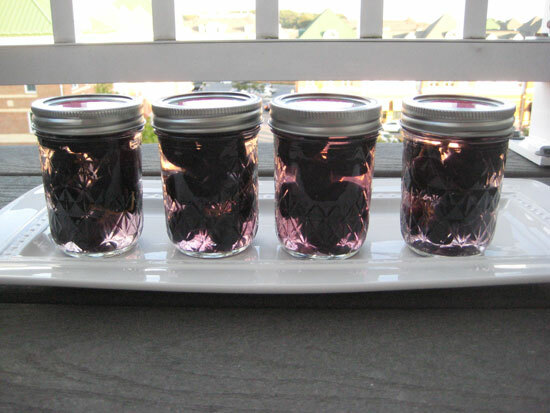 By way of ingredients all you will need are: white vinegar, salt, sterlized airtight glass jars, and a good batch of nice, dent-free, firm, crunchy (no smooshy ones, oh no no no) red or black grapes. We used black grapes, as you can see. Gently wash & dry grapes. Taking care that none of the grapes separate from the stalk. 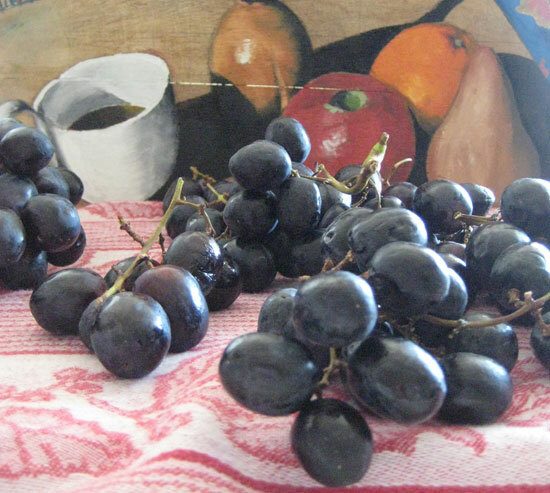 With a kitchen scissor, cut the grape bunch into separate stalks, each stalk having at least 3-4 grapes on it. Add vinegar (enough to cover grapes, leaving some room at the top.) Sprinkle with a dash of salt. Close lid.That’s it. Your job is done. Now, according to the original recipe, it’ll take a month before this pickle has ‘settled’ and is ready to serve, but we tried it only one day afterwards, and honestly, it was good to go! Definitely try this. It’s an interesting way to enjoy grapes and with its melange of sweet, sour and salty taste, it makes a unique condiment that goes quite nicely with meat or a rich dish. Azita! This is NOT what I was expecting when I saw your instagram photo yesterday. This looks amazing – I can say I’ve never tried torshiye angur. It is beautiful, I love how it stays on the stalk in the jar. I wonder if this can be made with other grape varieties ? Isn’t ghooreh a type of pickled young grape as well ? 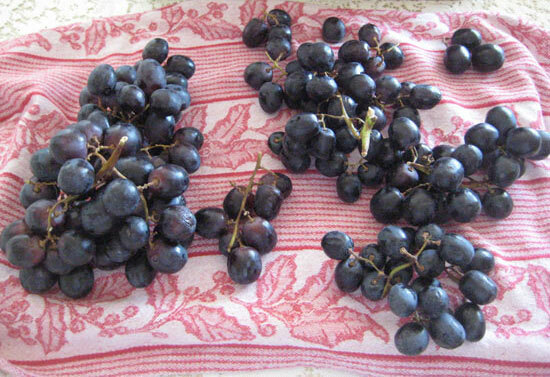 Now, for sure can use red grapes and any kind of firm crispy grape (big or small) I venture to say. 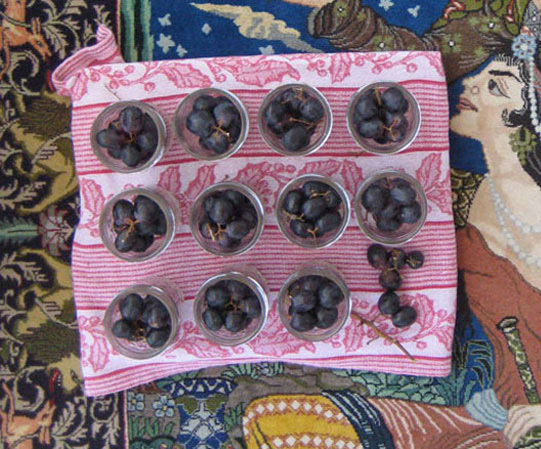 But ghoreh is what the very unripe young grapes are called, in their raw state, and used in stews etc as you well know. They do sell pickled ‘ghoreh’ in stores here b/c alas that’s the only way to preserve the raw ghoreh since we can’t find it in its raw state in the markets. Not yet at least. Soon Persian cooking will conquer and we’ll have all our favorite goodies readily available. The writing is on the wall. Wow, I love torshi but never knew there were so many kinds. Grape pickles sound wonderful, never would have thought to pickle grapes but I imagine the sweet and sour aspect like Sharbat is delicious. I have to try this. Exactly! It has that sweet and sour aspect with a dash of salt for good measure and it’s crunchy which is awesome. I was very excited when I read the recipe, it’s the first I’d heart of it as well. Azita, last year I made sir torshi, waited a year, and we ate them this summer. It was so amazingly delicious (and sooo simple), I made two more batches this year, and I am already looking forward to next year to open the jars. 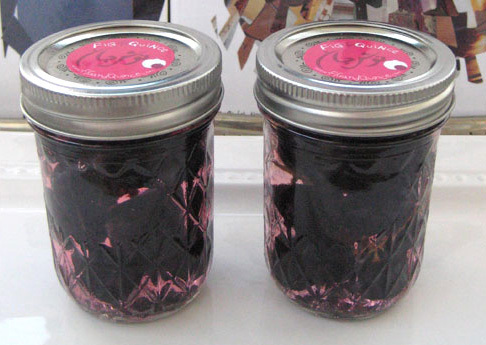 Now I’d be really curious to try out grape torshi, the jars look so pretty with the purple hue of the vinegar, and I bet they taste amazing! Do you serve them on their own, or along with something else? Oooh, Darya, now you’ve made my mouth water thinking of sir torshi! Bah bah! You’re inspiring me to do a post about it! Re serving: definitely good with meat dishes; or rich dishes with sauce that could use a good acidic counterbalance. But I also enjoyed popping a few on their own as well – it can almost be a little snack, because the grapes prevent it from being too sour as a standalone bite. Do make it and noosheh jan! Love your sir torshi recipe post, Darya! I’m just bummed out because it made me drool thinking of eat! A tasty end result too! 🙂 Yummm! How amazing… I had no idea that grapes could be pickled in this way! Wonderful. HI Fae joon! 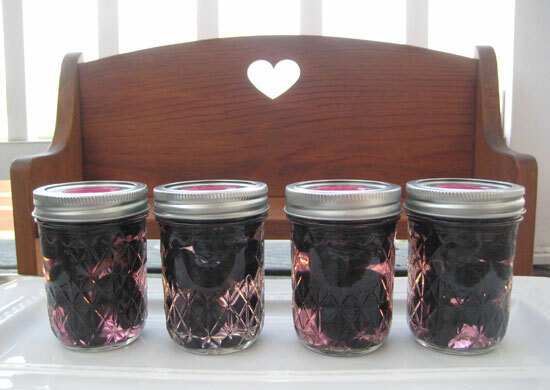 By wiggling space I really mean: avoid stuffing the jars and smooshing the grapes. But no, the grapes won’t get bigger (the thought of it made me smile though, as if they’re kids and then get bigger in the jar) .. as for the stalk, I DO think the recipe asks for using grapes attached to stalks precisely to avoid the grapes laying on top of each other and getting mushy. Hope this helps! And oh, for the vinegar, we used distilled Heinz white vinegar. And it looks very pretty in the jars too ! Ah pickled grapes. Fantastic Azita! I’m right into pickling, I made oranges recently, and bought radishes yesterday to pickle. Adding grapes to the list now, thanks! Azita, love the angur torshi recipe, didn’t realize that it is that simple. I used to make sir torshi, I still have a big jar of it , since probably 5 years in my pantry, I think it must be the best by now, aged for so long. Yes Cornelia jon, it’s a super easy recipe. Simple preparations basically. And oookh oookh, your 5 year old sir torshi must be perfect. Do share tales of its tastes and I can enjoy vicariously. Between you and Darya (commenting above) I now have a serious case of coveting some sir torshi. Azita joon, thank you for your reply. Noosh e jaan to all your cooking. I’ll let you know about my Torshi “opening” , most probably with Baqala polow and fish. Pickling grapes? Azita, I never would have thought… and so pretty in their jars of softly ‘pinkified’ vinegar surrounding them! I really can’t believe it’s been a year already since your stall at The Children of Persia Walk… where has the time gone?? I hear you Margot, time passes so CRAZY fast, it’s petrifying! How nice of you and your mom to do something for your community. It is such an act of kindness! This recipe is wonderful. Very simple yet very delicious. Totally my kind of thing! 🙂 Those jars are outrageously cute, Azita! Tanti baci back to you, my dear Francesca. First, your brother is an amazing painter. Wow what a novel concept to me, pickling grapes. I so wish I were at that table. I’d buy at least one of everything! These are so beautiful. You’ll have to post a recipe that I can put these in, but I imagine, chicken and rice would be great! Amanda, I have to tell you, it was so exciting to read its recipe. I was like, what? Grapes? Pickles? Must try! And I knew kindred spirits like you would be delighted by it as well and I’m glad I finally got to share it. You know, inspired by Francesca’s comment, I actually think the best pairing for this torshi would be a lovely pasta dish with a meat (but no tomato) sauce. It will definitely go nicely with a kabab dish or even sandwich as well. You are such a talented family, Azita joon. 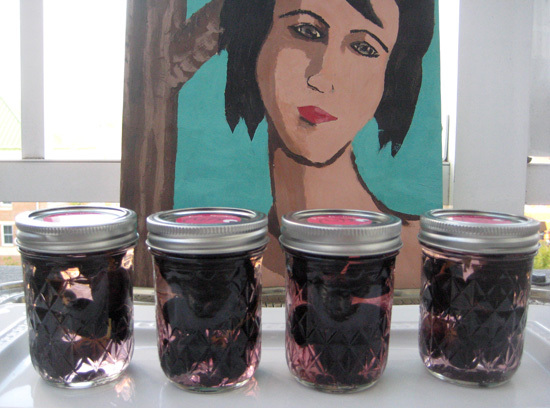 Love that painting and love the idea of pickling grapes, stems & all! What an unusual treat. I would be skeptical about pickling grapes, but they sound pretty good. You know? I’ve never had torshi -e angoor. And this torshi sounds & seems to be really interesting. It is a must on my list. Is this really persian? Not that it matters at all. Just wondering about its origins. I also adore your art work. Wow to both. 1 the torshi being Persian & 2 your coming to CA.That would be awesome. This weekend I’ll be making the torshi. The place else may just I am getting that kind of info written in such an idewl manner? I’ve a challenge that I am just now operatiing on, and I have been on the look out for such information.